The year’s most luxurious new cruise ship has been christened in Monaco. Luxury line Silversea Cruises celebrated its first newly built ship in seven years with a christening ceremony that was held in Monaco a couple of weeks ago. Silver Muse, the latest and largest ship from Italian family-owned, ultra-luxury cruise line Silversea, has been christened in a glamorous ceremony attended by Prince Albert II of Monaco, who wished the new ship fair winds and fair seas, as well as Silversea Cruises’ Chairman Manfredi Lefebvre d’Ovidio and company CEO Roberto Martinoli. Silver Muse is the company’s ninth ship and the company’s first new ship since 2009. It was built in the Fincantieri shipyards in Trieste in Italy. 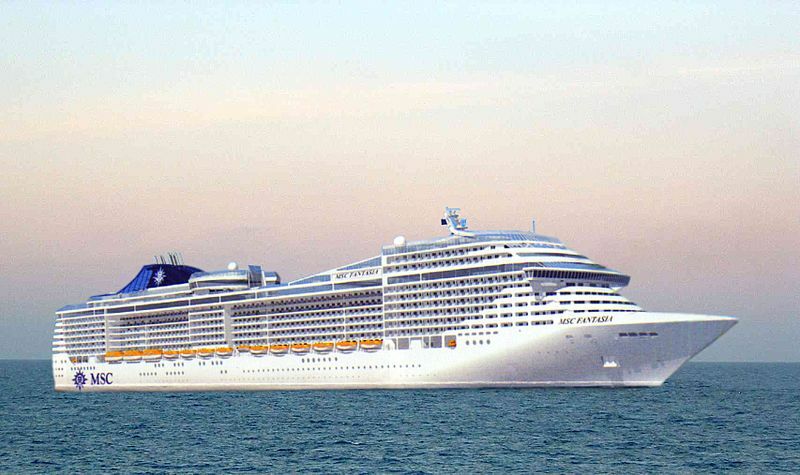 The mid-sized ship is at 40,700 gross tons and carries 596 passengers and 411 crew. Silver Muse offers more high-end suites than any ship of Silversea’s fleet – Silver, Royal, Grand, and Owner’s, as well as the greatest number of family-friendly connecting suites. Suites on Silver Muse feature walk-in wardrobes, bathrooms with Italian marble, Pratesi bed linen, Etro bathrobes and Bulgari bath amenities. Each suite has personalized butler service. 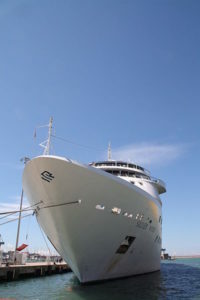 The ship will offer a variety of 7- to 19-day itineraries in Europe, the Caribbean, South America, the Middle East, and Asia. Silver Muse will call in 34 countries and 130 ports in 2017 alone. After the launch ceremony, the ship sailed from Monte Carlo on a 14-day cruise around the western Mediterranean. It will spend the summer in the Mediterranean before a transatlantic crossing to Canada and the USA and then trough the Panama Canal to reach South America, visiting 130 ports in 34 countries this year. MSC Meraviglia is near completion with last round of sea trials and will be in action soon. The Meraviglia is the next new ship coming to MSC Cruises and it is set to begin service from June 1, 2017, sailing the Mediterranean. The 167,600-ton, 4,500-passenger Meraviglia, MSC Cruises’ largest ship ever, is near completion, having performed sea trials from the STX France shipyard in Saint-Nazaire on the western coast of France. 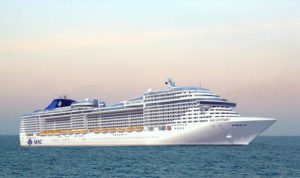 The cruise ship is due to begin its inaugural Mediterranean season in only a few days with homeports Genoa, Barcelona and Marseille.